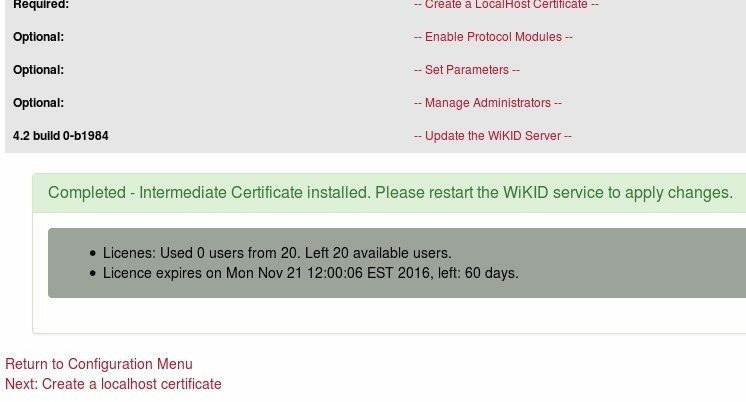 WiKID servers start with an evaluation certificate good for 30 days. 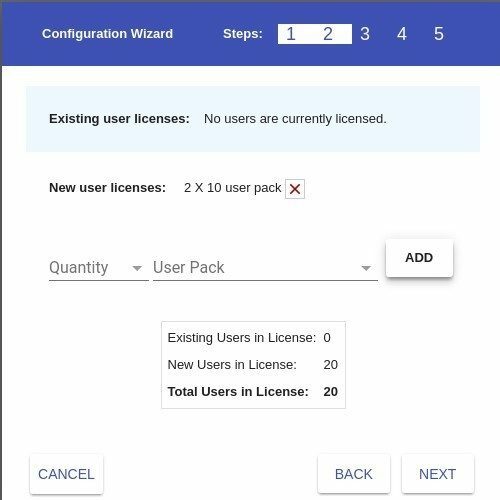 You then need to get either a free 5 user license or purchase more seats. 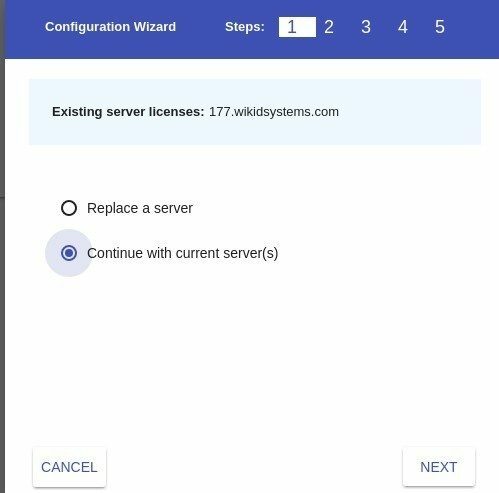 The WiKID Strong Authentication server is free for up to 5 users but you need to get a server license from WiKID for it or if you wish to add more seats. 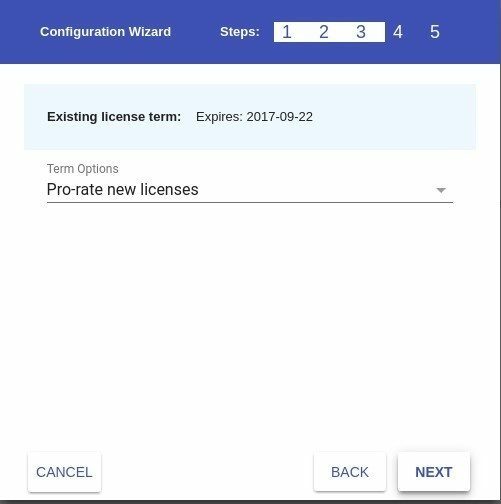 This document will show you how to use our Certificate Management System to add more seats or extend the term of your licenses. 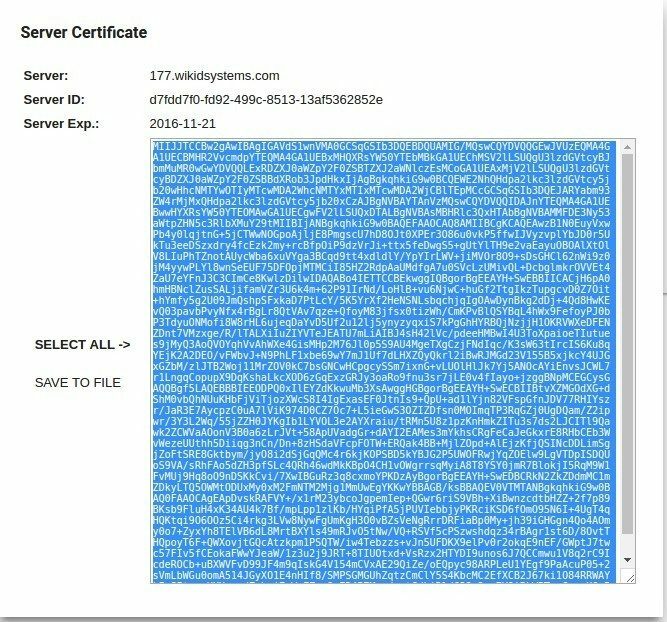 NB: These certs internally in the WiKID server to secure certain communications. They have certificate extensions that manage licensing, terms seats etc. After you get the initial evaluation cert, you can modify license terms via the CA system. 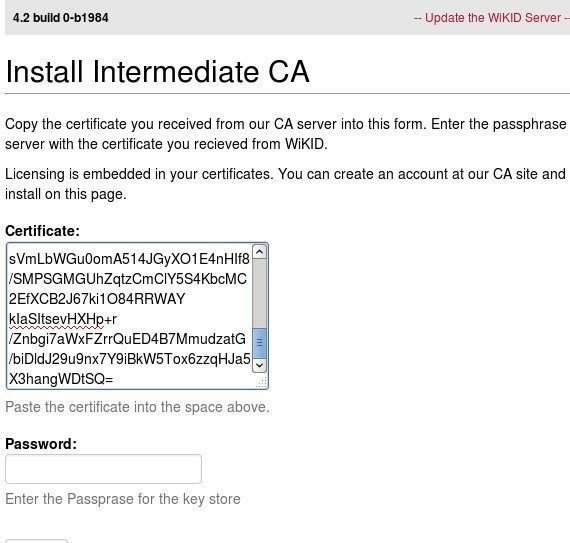 Start by Creating a New Account on our CA server at https://ca.wikidsystems.com. 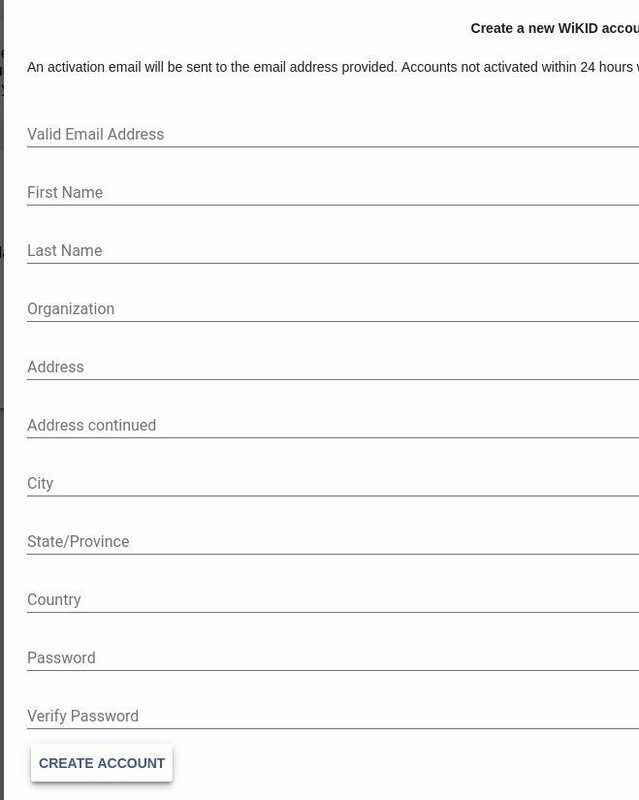 After you click Create Account, you will get an email with a verification link. You know the drill. Follow the link in the email and login to the Certificate Management System. 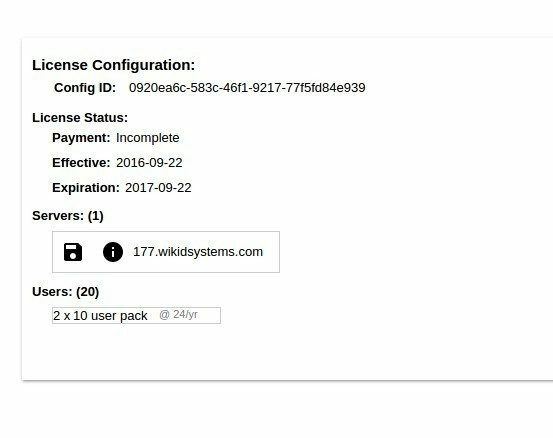 You will see that there are currently no licenses configured. 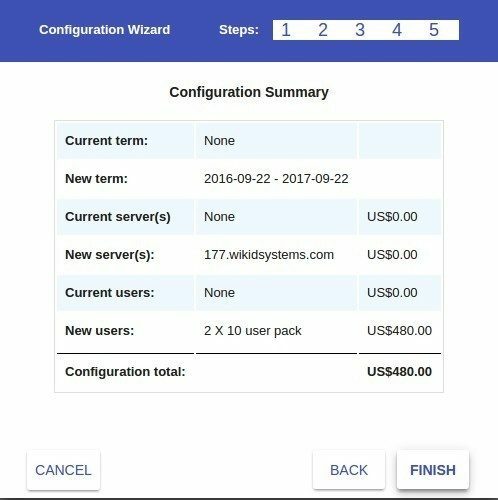 Click on the Add a New Configuration Button. 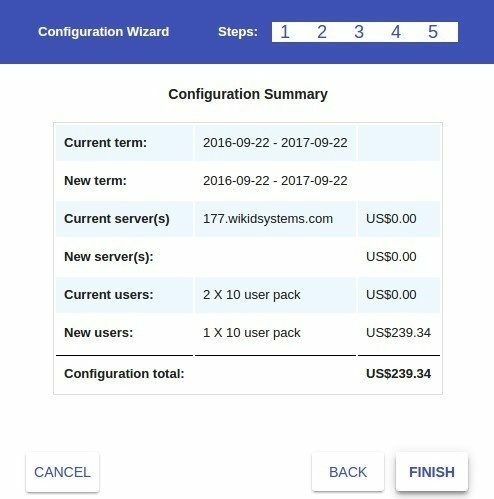 Return to the WIKIDAdmin and go to the Configuration Tab. Click on the Display Certificate link and the current certificate will be displayed. Double-click in the box to select all and copy it to your clipboard. 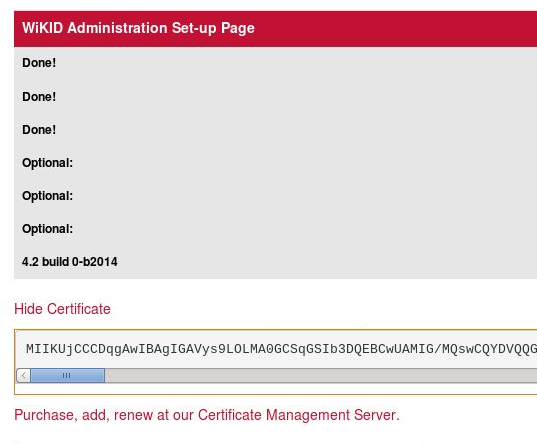 Go back the Certificate Management server and paste it into the box. 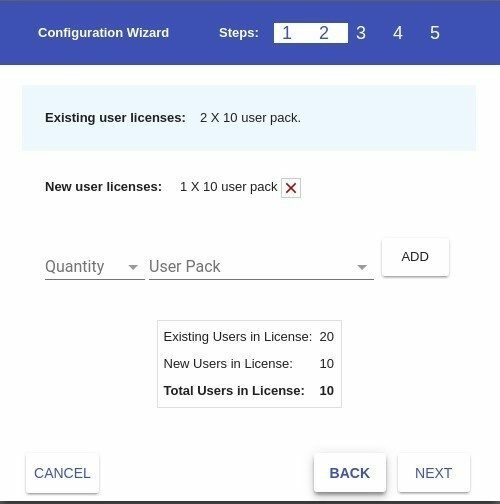 Click on the Quantity of user packs and the size (ie, 2 x 10 = 20). Click Next. 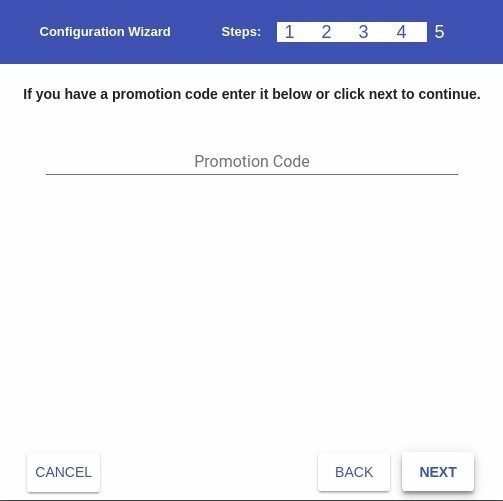 If you have a promotion code, you can enter it here. 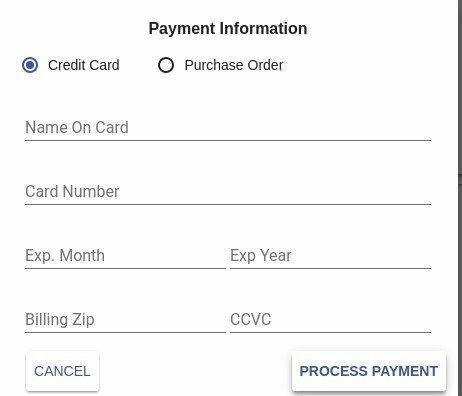 If this is correct, please click Finish to move on the the payment options. You can pay with a credit card or with a PO. 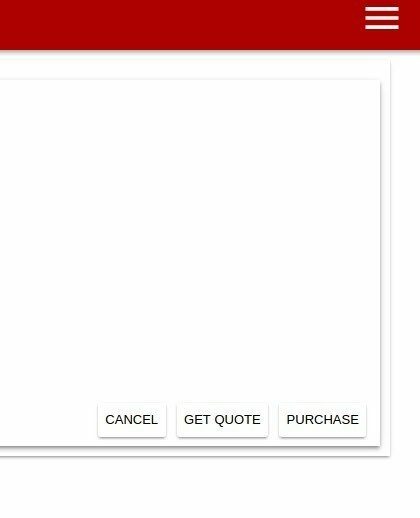 If you need to pay with a purchase order, please get in touch with us about invoicing. Credit card payments will be instantly credited. PO payments will get a temporary cert good for 60 days. We will process certificates upon reciept of the PO. 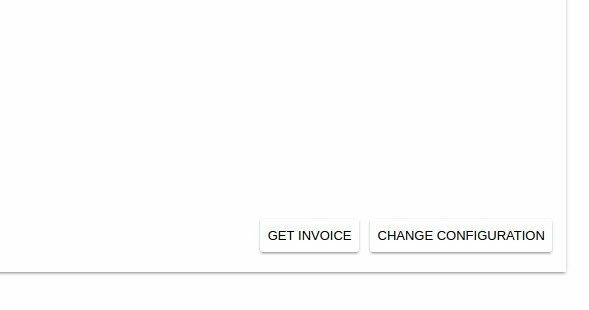 You will get a payment acknowledgement like the one above. Returning to the main screen, you will now see a listing for your configuration. Click on the (yes outdated!) disk icon to get your updated certificate. The cert now has the new license information. Now you need to install it on your WiKID server. This cert now has your licenses in it. You need to copy this cert to your clipboard and paste it into your server under the Configuration > Install the Intermediate Cert page. Click Install and you should see an updated Licensing Info. Great -now, please run 'wikidctl restart' to re-load the certificate in the server. Now. let's say you want to add some users to your existing server. Simply login to the CA server and select Change Configuration on the bottom right corner. You will see two options. 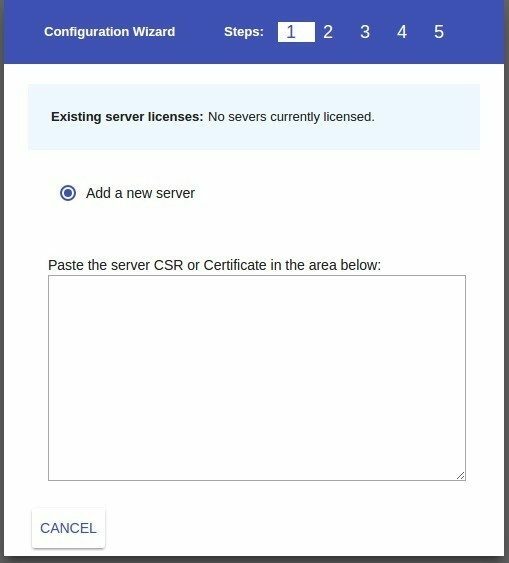 'Replace a server' is used if you need to rebuild a server with a new cert and you want to use your existing licenses. Click Continue with current server to add more seats. Add as many as you need and click Next. 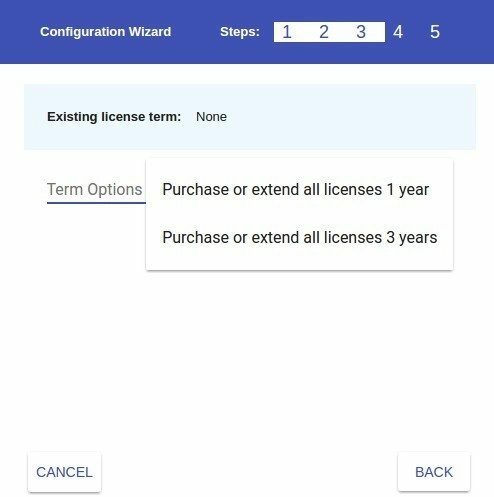 Note that you can only pro-rate licenses to your existing term. If you need anything else, please contact us. Note that the price is pro-rated to the day. The rest is the same as before. Please pay with credit card or PO. You can also manage multiple WiKID servers. Just choose "Add a new configuration" to add additional servers. 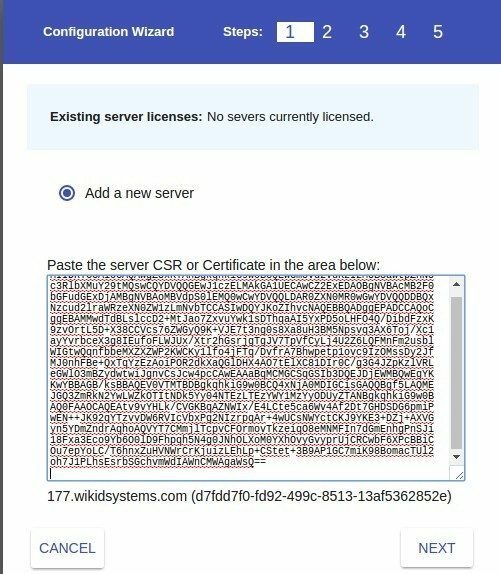 Click on the Certificate link under Servers and install it on your WiKID server as described above.